George Gershwin is often described as a quintessentially American composer. This Cambridge Companion explains why, engaging with the ways in which his music was shaped by American political, intellectual, cultural and business interests. As a composer and performer, Gershwin embraced technological advances and broke new ground in music business practices. In the decades preceding World War II, he captured the mechanistic pulse of modern life with his concert works and lay the groundwork for the Great American Songbook with his Broadway shows and film music. With his brother Ira, and his cousins Henry and B.A. Botkin, Gershwin explored various ethnic and cultural identities and contemplated their roles in US culture. His music confronted race during the Jim Crow era and continues to engage with issues of race today. 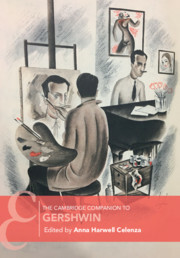 This interdisciplinary exploration of Gershwin's life and music describes his avowed pursuit of an “American” musical identity and its ongoing legacy. The Rolling Stones are one of the most influential, prolific, and enduring Rock and Roll bands in the history of music. This groundbreaking, specifically commissioned collection of essays provides the first dedicated academic overview of the music, career, influences, history, and cultural impact of The Rolling Stones. Shining a light on the many communities and sources of knowledge about the group, this Companion brings together essays by musicologists, ethnomusicologists, players, film scholars, and filmmakers into a single volume intended to stimulate fresh thinking about the group as they vault well over the mid-century of their career. Threaded throughout these essays are album- and song-oriented discussions of the landmark recordings of the group and their influence. Exploring new issues about sound, culture, media representation, the influence of world music, fan communities, group personnel, and the importance of their revival post-1989, this collection greatly expands our understanding of their music. Prokofiev considered himself to be primarily a composer of opera, and his return to Russia in the mid-1930s was partially motivated by the goal to renew his activity in this genre. His Soviet career coincided with the height of the Stalin era, when official interest and involvement in opera increased, leading to demands for nationalism and heroism to be represented on the stage to promote the Soviet Union and the Stalinist regime. Drawing on a wealth of primary source materials and engaging with recent scholarship in Slavonic studies, this book investigates encounters between Prokofiev's late operas and the aesthetics of socialist realism, contemporary culture (including literature, film, and theatre), political ideology, and the obstacles of bureaucratic interventions and historical events. This contextual approach is interwoven with critical interpretations of the operas in their original versions, providing a new account of their stylistic and formal features and connections to operatic traditions. Award-winning author Jack Boss returns with the 'prequel' to Schoenberg's Twelve-Tone Music (Cambridge, 2014) demonstrating that the term 'atonal' is meaningful in describing Schoenberg's music from 1908 to 1921. 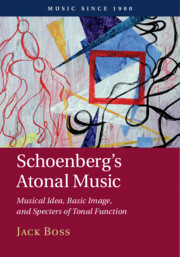 This book shows how Schoenberg's atonal music can be understood in terms of successions of pitch and rhythmic motives and pitch-class sets that flesh out the large frameworks of 'musical idea' and 'basic image'. It also explains how tonality, after losing its structural role in Schoenberg's music after 1908, begins to re-appear not long after as an occasional expressive device. Like its predecessor, Schoenberg's Atonal Music contains close readings of representative works, including the Op. 11 and Op. 19 Piano Pieces, the Op. 15 George-Lieder, the monodrama Erwartung, and Pierrot lunaire. These analyses are illustrated by richly detailed musical examples, revealing the underlying logic of some of Schoenberg's most difficult pieces of music. Few composers have responded as powerfully to place as Frederick Delius (1862–1934). Born in Yorkshire, Delius resided in the United States, Germany, and Scandinavia before settling in France, where he spent the majority of his professional career. This book examines the role of place in selected works, including 'On Hearing the First Cuckoo in Spring', Appalachia, and The Song of the High Hills, reading place as a creative and historically mediated category in his music. 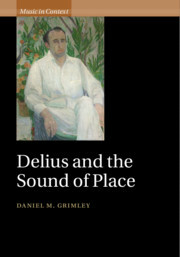 Drawing on archival sources, contemporary art, and literature, and more recent writing in cultural geography and the philosophy of place, this is a new interpretation of Delius' work, and he emerges as one of the most original and compelling voices in early twentieth-century music. As the popularity of his music grows, this book challenges the idea of Delius as a large-scale rhapsodic composer, and reveals a richer and more productive relationship between place and music. This book explores the fundamentals of computer music and functional programming through the Haskell programming language. Functional programming is typically considered difficult to learn. This introduction in the context of creating music will allow students and professionals with a musical inclination to leverage their experience to help understand concepts that might be intimidating in more traditional computer science settings. 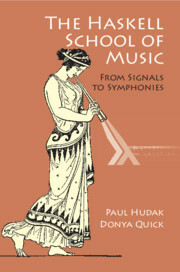 Conversely, the book opens the door for programmers to interact with music by using a medium that is familiar to them. Readers will learn how to use the Euterpea library for Haskell (http://www.euterpea.com) to represent and create their own music with code, without the need for other music software. The book explores common paradigms used in algorithmic music composition, such as stochastic generation, musical grammars, self-similarity, and real-time interactive systems. Other topics covered include the basics of signal-based systems in Haskell, sound synthesis, and virtual instrument design. 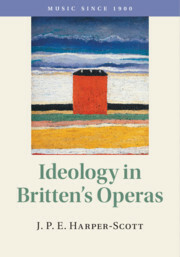 This thematic examination of Britten's operas focuses on the way that ideology is presented on stage. To watch or listen is to engage with a vivid artistic testament to the ideological world of mid-twentieth-century Britain. But it is more than that, too, because in many ways Britten's operas continue to proffer a diagnosis of certain unresolved problems in our own time. 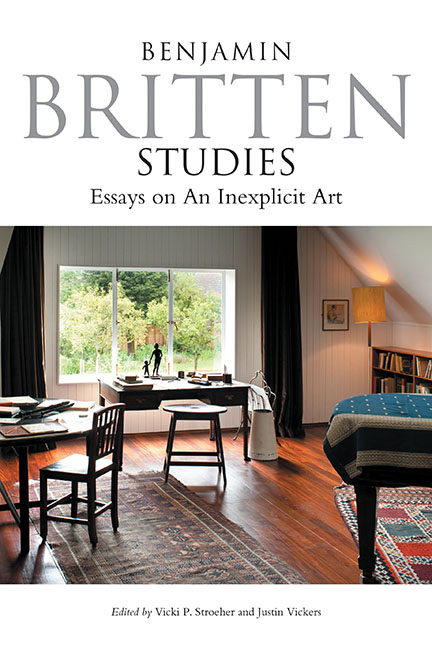 Only rarely, as in Peter Grimes, which shows the violence inherent in all forms of social and psychological identification, does Britten unmistakably call into question fundamental precepts of his contemporary ideology. This has not, however, prevented some writers from romanticizing Britten as a quiet revolutionary. 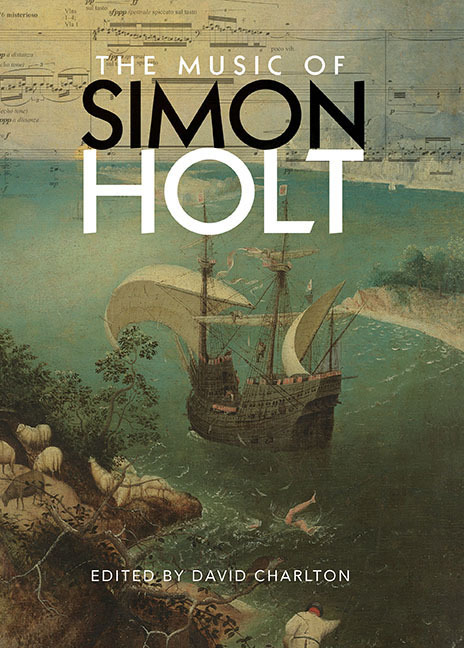 This book argues, in contrast, that his operas, and some interpretations of them, have obscured a greater social and philosophical complicity that it is timely - if at the same time uncomfortable - for his early twenty-first-century audiences to address. Best known for his collaborations with Bertolt Brecht, composer Hanns Eisler also set nineteenth-century German poetry to music that both absorbs and disturbs the Lieder tradition. This book traces Eisler's art songs (German: Kunstlieder) through twentieth-century political crises from World War I to Nazi-era exile and from Eisler's postwar deportation from the U.S. to the ideological pressures he faced in the early German Democratic Republic. His art songs are presented not as an escape from the "dark times" Brecht lamented but rather as a way to intervene in the nationalist appropriation of aesthetic material.This book follows a chronological arc from Eisler's early Morgenstern songs to his Lied-like setting of Brecht's 1939 "To Those Who Come After" and his treatment of Hölderlin's poetry in the 1940s Hollywood Songbook; the final two chapters focus on Eisler's Goethe settings in the early GDR, followed by his late Serious Songs recalling Brahms in their reflective approach. In its combination of textual and musicological analysis, this book balances technical and lay vocabulary to reach readers with or without musical background. 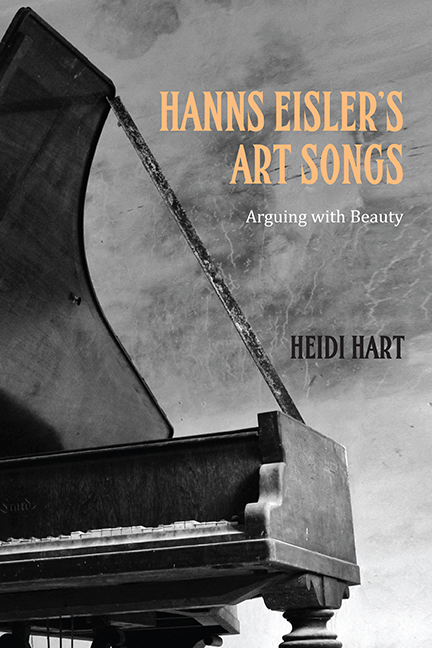 The author's practical perspective as a singer also informs the book, as she addresses not only what Eisler asks of the voice but also the challenge of evoking both intimacy and distance in his politically fraught art songs.Heidi Hart holds a PhD in German Studies from Duke University. She is an instructor in the College of Humanities and Social Sciences at Utah State University. Statistically the most performed and listened to contemporary composer in the world, Arvo Pärt is a musical and cultural phenomenon. This book is an essential resource for anyone interested in his extraordinarily innovative and uniquely appealing music. Andrew Shenton surveys the full scope of Pärt's oeuvre, providing context and chronological continuity while concentrating in particular on his text-based music, analysing and describing individual pieces and techniques such as tintinnabulation. The book also explores the spiritual and theological contexts of Part's creativity, and the challenges of performing his work. 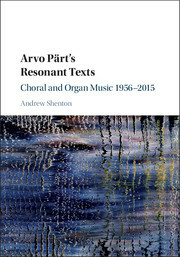 This volume is the definitive guide for readers looking to engage with the form, content, and context of Pärt's compositions, as Shenton situates Pärt in the narrative of metamodernism and suggests new ways of understanding this unique and beautiful music. For more than two hundred years, copyright in the United States has rested on a simple premise: more copyright will lead to more money for copyright owners, and more money will lead to more original works of authorship. 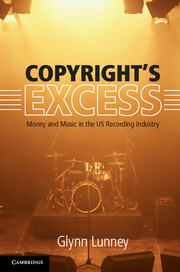 In this important, illuminating book, Glynn Lunney tests that premise by tracking the rise and fall of the sound recording copyright from 1961–2015, along with the associated rise and fall in sales of recorded music. Far from supporting copyright's fundamental premise, the empirical evidence finds the exact opposite relationship: more revenue led to fewer and lower-quality hit songs. Lunney's breakthrough research shows that what copyright does is vastly increase the earnings of our most popular artists and songs, which - net result - means fewer hit songs. This book should be read by anyone interested in how copyright operates in the real world. 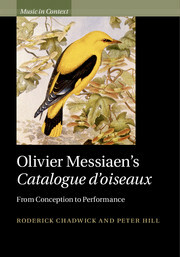 Roderick Chadwick and Peter Hill give a detailed account of the evolution of Olivier Messiaen's Catalogue d'oiseaux for piano solo, from its initial conception in the Black Forest in 1953 to its completion and premiere in the Parisian 'Concerts du Domaine Musical' at the end of the decade. Through close examination of the composer's birdsong cahiers they demonstrate how Messiaen translated nature into music in a way that had a major impact on his later work. They also consider issues of performance, and Messiaen's artistic relationship with his dedicatee and wife-to-be, Yvonne Loriod, including the significance of her two recordings of the cycle. This book illuminates the Catalogue from a variety of angles: its historical significance, as a study of how mimicry of nature can be transformed into music of mesmeric originality, and as a guide that offers a wealth of fresh insights to listeners and performers. Czech musical culture around 1900 saw itself as the culminating phase of the development of Czech national music. At the same time, however, it exhibited many contradictory phenomena mirroring the inexorable dissolution of unified Czech patriotic life, which especially in the second half of the nineteenth century had encountered resistant forces in the Germanophilic environment of the Austro-Hungarian monarchy. The extraordinary dynamics of the period of about two decades before the outbreak of World War I were determined by the rise of a young generation of composers who now accepted the "global" character of Czech music as a matter of course, thanks to the international success of works by Bedrich Smetana (the opera The Bartered Bride) and Antonín Dvorák (works for orchestra and chamber ensembles, large choral works).Composers like Leos Janácek, Josef Bohuslav Foerster, Josef Suk, and especially Vítezslav Novák had extraordinary talent, received good training, and gradually won support from influential publishers. With courage and critical perspective they came to terms with the bequest of the "fathers", the "founders" of Czech music, as well as with the works of their own more famous contemporaries like Richard Strauss, Gustav Mahler, and Gustave Charpentier. They gained successes abroad. Reactions by the public, critics, and their colleagues, however, were mixed, as though Czech society were not capable of accepting divergent approaches to artistic creation. Many works (if not many composers) came out of this "battleground" weakened and fell by the wayside. 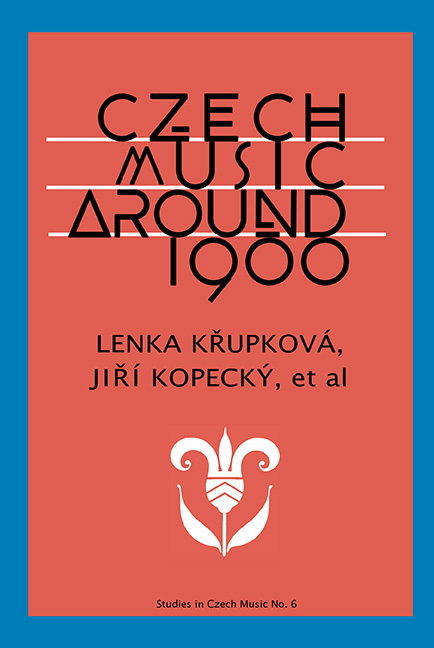 One of the aims of this book, Czech Music Around 1900, is to draw attention to some unjustly forgotten treasures of Czech music. Musicians are always quick to adopt and explore new technologies. The fast-paced changes wrought by electrification, from the microphone via the analogue synthesiser to the laptop computer, have led to a wide range of new musical styles and techniques. Electronic music has grown to a broad field of investigation, taking in historical movements such as musique concrète and elektronische Musik, and contemporary trends such as electronic dance music and electronica. The first edition of this book won the 2009 Nicolas Bessaraboff Prize as it brought together researchers at the forefront of the sonic explorations empowered by electronic technology to provide accessible and insightful overviews of core topics and uncover some hitherto less publicised corners of worldwide movements. 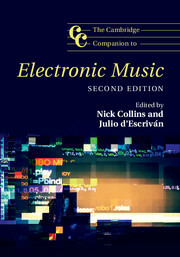 This updated and expanded second edition includes four entirely new chapters, as well as new original statements from globally renowned artists of the electronic music scene, and celebrates a diverse array of technologies, practices and music. 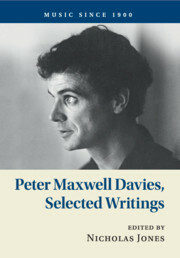 This book brings together an extensive and varied collection of Sir Peter Maxwell Davies's written and spoken-word items for the first time. Spanning the composer's entire career, this compendium offers a balanced selection of Davies's articles and essays, speeches and lectures, interviews, radio broadcasts, programme notes, tributes and letters to newspapers. A number of items are published for the first time, including a new article from Davies himself (commissioned specially for this book), and several BBC radio broadcast interviews and talks from the 1960s. The structure of the book is chronological and divided into three parts, allowing readers to trace the development of Davies's thought and work over time, and to place each item in its biographical and historical context. The introduction and notes by Nicholas Jones place the writings in context, making this volume invaluable for those interested in the music and wider culture of post-war Britain. The expanded and updated third edition of this acclaimed Companion provides an accessible, broadly based survey of one of the liveliest and most popular forms of musical performance. It ranges from the American musical of the nineteenth century to the most recent productions on Broadway, in London's West End, and many other venues, and includes key information on singers, audiences, critical reception, and traditions. Contributors approach the subject from a wide variety of perspectives, including historical concerns, artistic aspects, important trends, attention to various genres, the importance of stars, the influence of race, the various disciplines of theatrical production, the musical in varied media, and changes in technology. 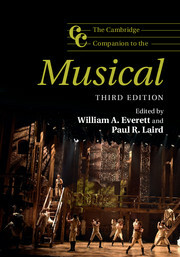 Chapters related to the contemporary musical have been updated, and two new chapters cover the television musical and the British musical since 1970. Carefully organised and highly readable, it will be welcomed by enthusiasts, students, and scholars alike. While ballads have been a cornerstone of popular music for decades, this is the first book to explore the history and appeal of these treasured songs. 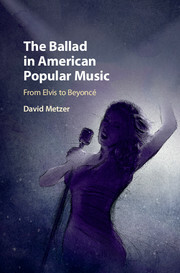 David Metzer investigates how and why the styles of ballads have changed over a period of more than seventy years, offering a definition of the genre and discussing the influences of celebrated performers including Frank Sinatra, Aretha Franklin, and Whitney Houston. The emotional power of the ballad is strongly linked to the popular mood of the time, and consequently songs can tell us much about how events and emotions were felt and understood in wider culture at specific moments of recent American history. Tracing both the emotional and stylistic developments of the genre from the 1950s to the present day, this lively and engaging volume is as much a musical history as it is a history of emotional life in America. 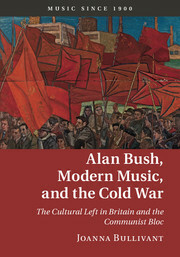 The first major study of Alan Bush, this book provides new perspectives on twentieth-century music and communism. British communist, composer of politicised works, and friend of Soviet musicians, Bush proved to be 'a lightning rod' in the national musical culture. His radical vision for British music prompted serious reflections on aesthetics and the rights of artists to private political opinions, as well as influencing the development of state-sponsored music making in East Germany. Rejecting previous characterisations of Bush as political and musical Other, Joanna Bullivant traces his aesthetic project from its origins in the 1920s to its collapse in the 1970s, incorporating discussion of modernism, political song, music theory, opera, and Bush's response to the Soviet music crisis of 1948. Drawing on a wealth of archival sources, including recently released documents from MI5, this book constructs new perspectives on the 'cultural Cold War' through the lens of the individual artist.